Ever been in a pit? Ever been stuck in the miry clay? Ever felt like you are sinking deeper and deeper as the days passed by? I’m not talking about a dirt pit on the side of the road. As bad as it would be to get stuck in one of those, the pit I’m talking about is much scarier and much more dangerous. It’s the pit that King David speaks about in Psalm 40. 4 Tips to Combat "People-Pleasing"
“For all my life I have worried about what other people think about me. As a little child, I quickly learned that certain things would bring the smile and approval of my parents and other adults. Then when I started grade school, the approval of my friends became the most important thing in my life. Now I’m in college. But I’ve never grown out of this fear of being rejected. I still live my life mainly based on the approval of others. I want so badly to be liked, to fit in, and to be accepted that I have done all kinds of dumb stuff that my friends pushed me to do. I really regret that. Most of the time I know the right thing to do. I’m just afraid to do it, worrying about what my friends will think. That’s an actual email I received about two years ago. My heart broke for that young lady. She had allowed her life to be controlled by the thoughts and opinions of other people – people that she didn’t even care about and who certainly didn’t care about her. She was stuck in a self-imposed prison and it seemed like there was no way out. Yesterday, we in the Orthodox Church celebrated Christmas (best thing about being Orthodox is getting two Christmases - Dec 25 and Jan 7 - who wouldn’t want to celebrate twice???). And on that occasion, we received a beautiful pastoral letter written by His Grace Bishop Peter. We read the letter in church during the Liturgy and so many people were touched by it, so I decided to post it below for your edification as well. Enjoy! Below is a blog post that I originally wrote almost five years ago. I wrote it at a time when it seemed like a lot of people were going through "a hard time" and I found myself struggling with what to say and how to guide them. Below is what I came up with. I feel that we might be in another one of those seasons now - where many are going through difficult times and struggling with questions like "what do I do now?" and "where do I go from here?" Because of that, I am reposting my three-step strategy of what to do when there's nothing you can do... and where to go when you've got nowhere to go. Reality checks – where would we be without them? We all get a little ahead of ourselves sometimes and need someone or something to bring us back down to earth. One such reality check happened to me during the summer after I finished 8th grade and was preparing for high school. Up through that year, I had been playing football in my local town youth league. I loved playing football and not too toot my own horn, but I think I was pretty good (toot toot). There were three teams in each weight class – an “A” team and two “C” teams. The “A” team was comprised of the top 30-40 players in each weight class and the rest of the kids were divided equally amongst the two “C” teams. HOPE. What is it? Where do I find it? How do I get it? And if I do get it, how do I keep it? Why does that guy seem to have so much of it and I have so little of it? Is there really such a thing as hope in my situation? Of course we all know the “right” answers to these questions. 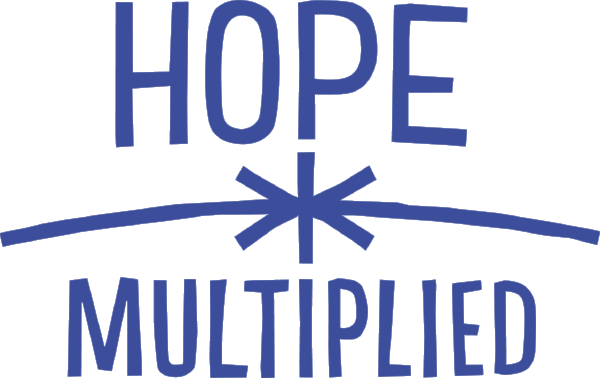 It’s easy to rattle off some Bible verses and spew out a few stories and then declare “so just hope in God.” But do we really believe that? Do you really believe that? The honest answer for me? Yes and no. At times, yes. And at other times, no. There are those times when life seems to be going well – not perfect, but at least moving in the right direction. Economy is up, career is progressing, and relationships are stable. Life is good. At times like that, it’s easy to talk about hope and tell others about hope as well. Hope is ours. But those “good” times seem to occur much less frequently than the “bad” times don’t they? The economy seems to be down more than it’s up. My career has more bumps than I expected. And my relationships (or lack thereof) seem to be a constant source of stress and anxiety in my life. Where’s hope then? I'm baaa-aack! That's right! After a 4-week preaching hiatus, I'M BACK and, as you can see from this week's message, I am PUMPED UP about our newest series, HANDCRAFTED. It's been said that in order to know God, you must first know yourself. Each of us is designed as a masterpiece by God - a unique creation designed to fulfill a unique purpose. In this series, we'll learn more about ourselves using the renowned Myers-Briggs Type Indicator (MBTI) and discover how we can use that knowledge to uncover our "sweet spot" in life. Ever notice how many times the gospel says that Jesus AMAZED the crowds? Or that everyone was ASTONISHED by His words? Ever count the number of times that Jesus performed a miracle and it says that all the crowds MARVELED when they saw it? From start to finish, Jesus led a truly AMAZING life. There weren’t too many dull days with Him around. One day healing the sick; the next day feeding the multitudes. One day preaching in parables; the next day casting out demons. He was a Teacher and a Preacher; a Comforter and a Counselor. He was all things to all men. But apparently not everyone was impressed. In Need of a “Come to Jesus” Moment? Is it just me or is life getting faster? It can’t be just me can it? I don’t know what it is but the more I desire to get my life in order and under control, the faster and more chaotic life seems to get. Always on the run…late to an appointment…stuck in traffic…got 2 hours worth of errands to run in 45 minute lunch break. Busy, busy, busy. Finish one busy season and the next one is even more busy. ENOUGH!!!! Ever feel like you’re drowning? Like it’s just too much? Like the world around you is a raging sea and you just keep getting tossed from one wave to another? Always unsettled? Always on the run? Always late for something or behind on something? Always overwhelmed? If so, JOIN THE CLUB! Believe me, I know how you feel and I often find myself in a similar state. Too many things going on at the same time and not enough time or energy to do a quality job with each of them. Yeah yeah yeah… we’ve heard it on the radio… we’ve see it in the movies… we even hear about it at church during this time of year. We know that it’s supposed to be a season of joy, a season of laughter and a season of good cheer… the “hap-hap-happiest time of year” right? But there’s just one problem….IT ISN’T! The holiday season reminds us of everything that ISN'T right in our lives and highlights all the areas that AREN’T going according to plan. It’s a season where the feelings of loneliness that exist all year long get magnified. It’s a season that every year is less and less joy and cheer, and more and more anxiety, stress and fear. It’s a season where we’re flooded with images of families having fun and people being happy and we’re left to just wonder…why not me? Why doesn’t my life match? Why can’t I have that too? Things were supposed to be different by now; this circumstance wasn’t supposed to still be here. Why God, why? What Happened in Las Vegas? Sadly, this story has become all too common. Another mass shooting - this time in Las Vegas. Another senseless killing, taking the lives of several innocent victims and bringing anger and fear into the hearts of even more. As I was reflecting upon these recent events, I remembered a post I wrote last year after a similar tragedy in Orlando. Prior to this week, the Orlando shooting was the largest in US history, but the Las Vegas tragedy has now surpassed it - with 58 dead and more than 500 wounded. The post below was my way of processing what happened and answering the question, "Where do we go from here?" The details may be different, but the message is the same. Every now and then, I read a passage in the Bible that touches my heart in a way that leaves me speechless. Literally speechless – nothing at all to say. And that isn’t an easy task considering I’m someone who makes a living out of talking - and talking specifically about the Bible! But recently I found myself at that exact point as I was reading and meditating on the story of the Prodigal Son (see Luke 15:11-32). Look who's back! After a four week hiatus, I am back to doing what I love to do...PREACHING ABOUT THE GREATNESS OF GOD! We kicked off a new series yesterday titled THE INVISIBLE HAND OF GOD: A Look at Esther. In it, we're talking about a subject which I am sooooooo passionate about and I think if you watch the message, you will be too. Our journey has come to the end. For the past 4 weeks we've been looking at REdiscovering the God we thought we know - aka, Meeting (again) for the First Time. This week we looked at the false god that many of us grew up with, GUILT GOD - the god who loves you but doesn't like you. Special thanks to my good friend Emmanuel Gergis, the academic dean for Holy Transfiguration College, for sharing his personal experience on the subject. If you struggle with guilt and forgiving yourself, YOU NEED to listen to the message above. This week, we were honored to receive a special visit from a longtime friend and partner in the ministry - Fr. Abraham Fam. Fr. Abraham has been serving as a missionary priest in Lusaka, Zambia for 10 years, but this weekend he was gracious enough to join us for part 3 in our series, Meeting (again) for the First Time. And his topic was a good one...BOYFRIEND GOD! Fr. Abraham addresses the question: how can I believe in God if I don’t feel His presence at all times? It's Part 2 in our latest series, Meeting (again) for the First Time and this week, we hear from a very dear friend of mine, Maryan Farag. Maryan shares her personal journey into discovering the truth about God and answered prayer. Is God there to simply give us what we ask for? Or is there more to the story? Check out the video above and listen for yourself and Maryan candidly reveals what God has taught her about this subject. It's once again that time of year where I take my annual hiatus from preaching. Every year we plan a fun guest speaker series at The Well and judging from part 1 yesterday, this year's series is going to be a good one! It's called MEETING (again) FOR THE FIRST TIME. It's a follow up to our last series where we discussed some of the common myths about who God is. Each week, we'll look at one "false god" and try to figure out what the truth really is. Week One: BODYGUARD GOD - isn't God supposed to protect from evil and harm? "The only way to DEFEAT your enemy is to first KNOW your enemy." We may not always realize it, but every day we wake up to a war – one that’s been going since the day we were born and will continue until the day we die. It’s not a war fought with guns and other physical weapons; this war is much more deadly and there’s much more at stake…your soul! Adversary… devil… roaring lion… DEVOUR! YIKES!! !